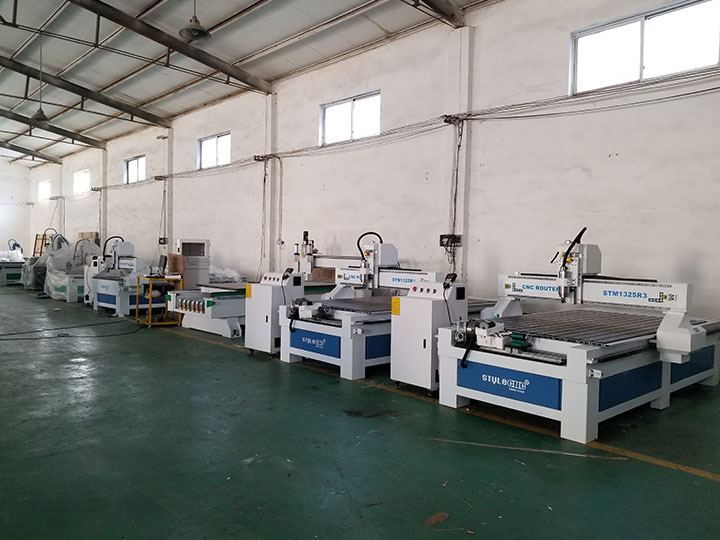 This is STM1325-R3 CNC wood router table, the 4th rotary axis is fixed at the front of the CNC router table, which is more convenient to use. 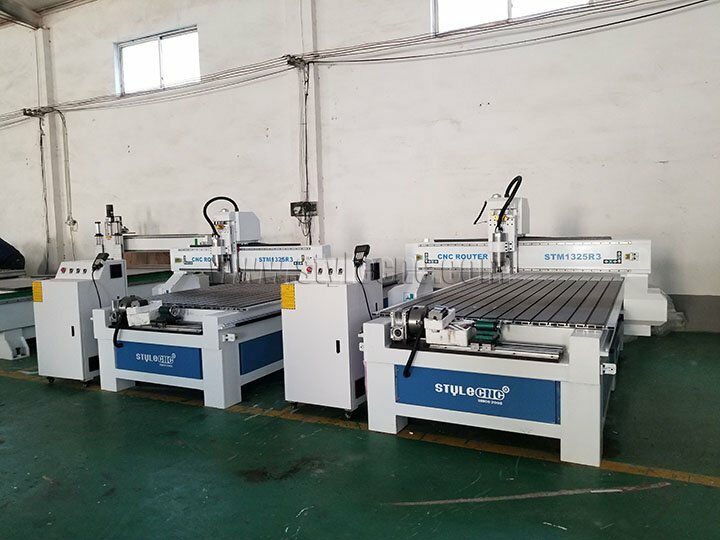 The CNC router table can be used to make 3D carving on MDF board and round wood with same 3D design. 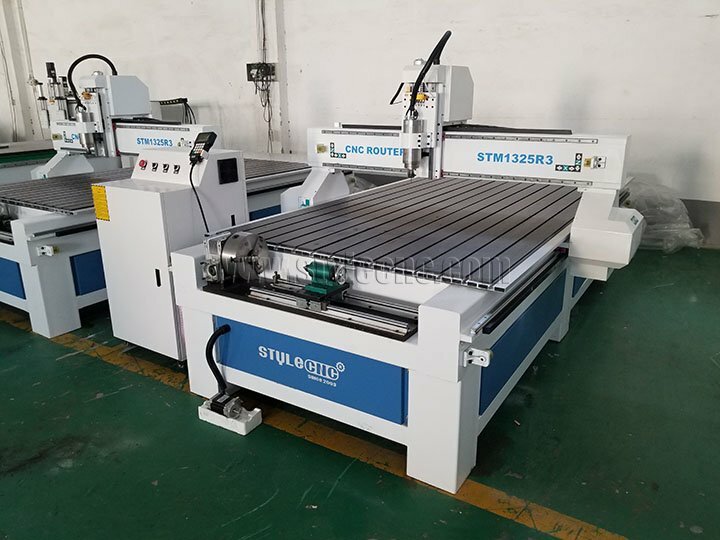 STM1325-R3 is one standard Wood CNC router table to do cutting and carving, you can choose different configurations, such as air-cooling spindle, dust collector, servo motor for different applications. 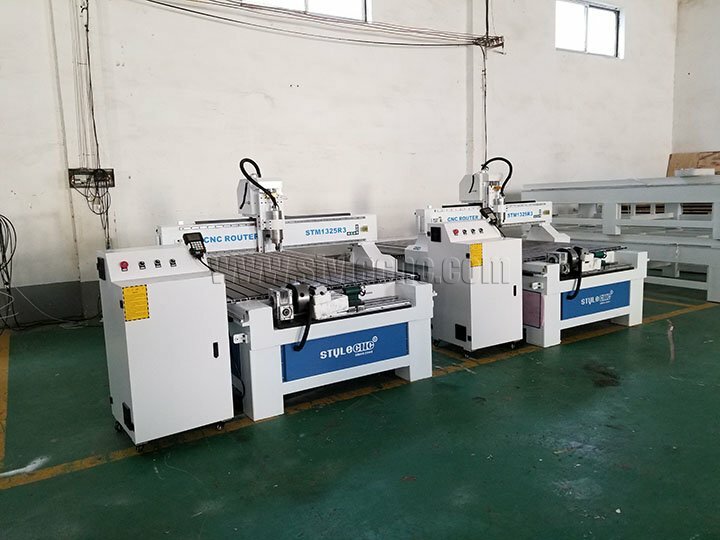 STM1325R3 CNC router table is applied to wood, MDF board, wave board, plastic, PVC, acrylic, aluminum board, brass board, density board, crystal, light marble, other nonmetal materials and soft metal materials. 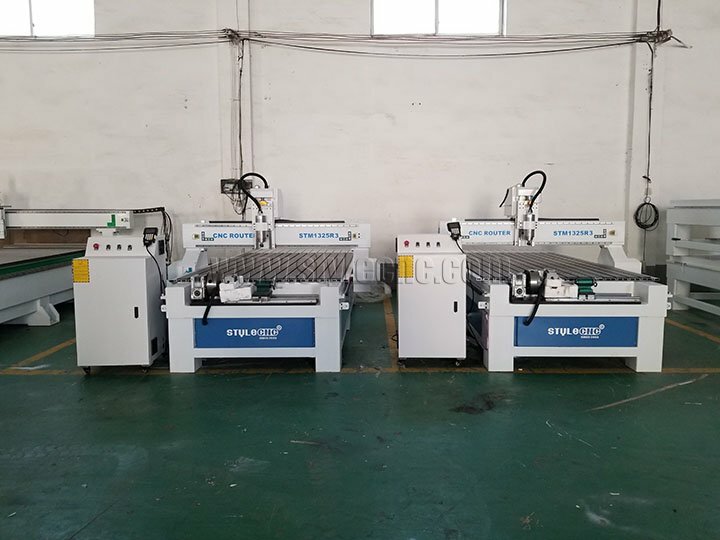 We also have more CNC wood router models for your choosing. 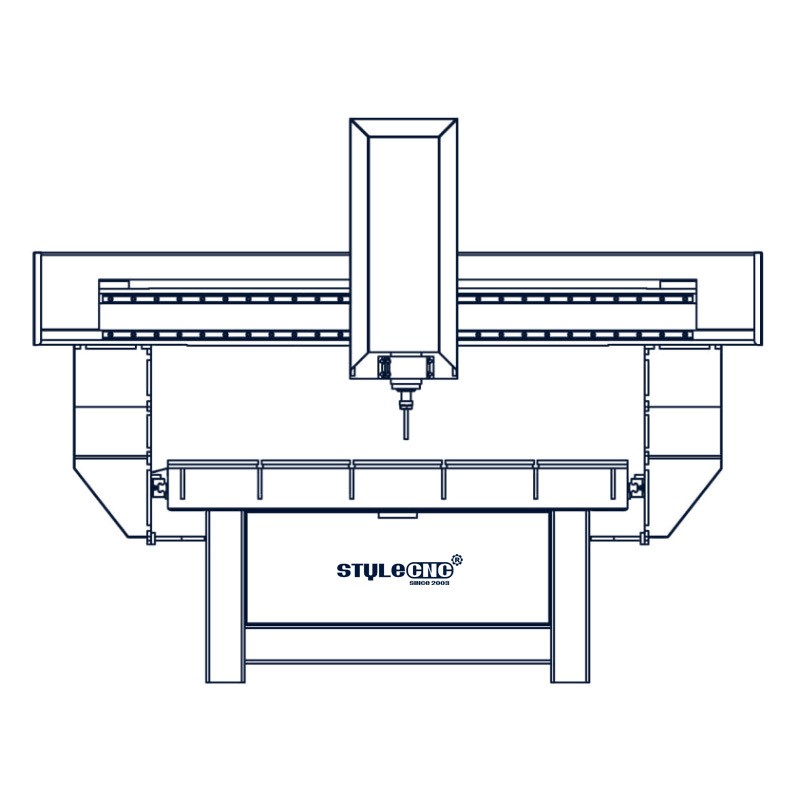 License: The text of "3D Woodworking CNC Router Tables for Philippines Clients" by STYLECNC is licensed under a Creative Commons Attribution 4.0 International License.